I loved this… sort of. The timing worked out because we don’t have school anymore. This means I don’t have to worry about scrubbing them DOWN HARD to get all the ink off. Basically, my kids went to town with a pen. 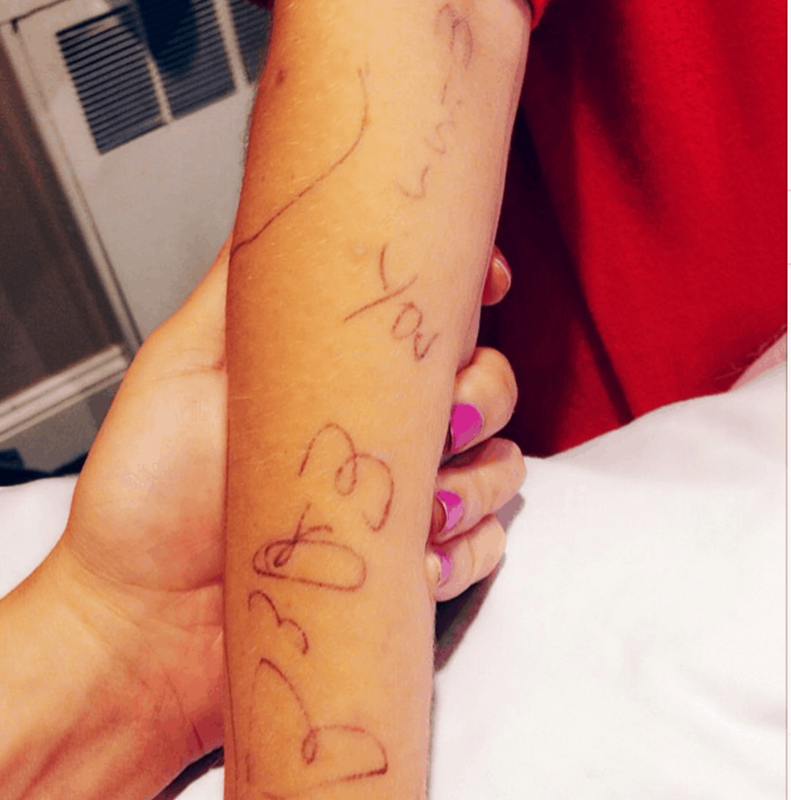 They drew ALL OVER THEIR BODIES — little notes to me about how much they missed me this week. It was so cute in theory, right? But after two baths, it’s still there! LOL! My kids look dirty even though they are clean. What can we do? It was a sweet thing to do. Liam drew Minecraft pictures all over his legs showing the two of us playing together. Natalie drew smiley faces and hearts with messages to me on her arms and down her legs. They were turning around and around so I could see it all. But before I threw them in I had to snap a shot to remember. Because when I’m 40 (oh wait that’s like tomorrow) – strike that – when I’m 60 I’m going to look back at this memory and smile hard.